SOCA PRO23 is a special seasonal program designed to extend college aged players an additional opportunity for high level structured play. Designed to strengthen the bridge between SOCA and local college programs, PRO23 also offers SOCA alumni the opportunity to continue playing locally while staying sharp over the summer break. 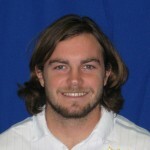 Both Women’s and Men’s teams will be formed, and not only are collegiate players eligible to play but so are other members of the SOCA community. Offering players a professional training environment and competitive match play, PRO23 also promises to offer all Charlottesville soccer enthusiasts an exciting new outlet. Through SOCA’s participation in the Club Champions League, SOCA members are now offered the opportunity to participate in a professionally-managed, regional, competitive, and unique Under 23 league. CCL PRO23 began play in June 2016. The 2017 season saw CCL PRO23 expand to 35 teams from Maryland, DC and Virginia. 2019 is expected to be the most competitive season yet. Despite the acronym PRO (Player Retention Opportunity), it is an amateur league that will not jeopardize any college eligibility. 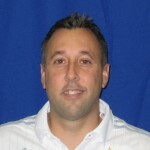 Unique to CCL PRO23 will be the use of up to five players over-23 that will allow for former collegiate players to join and become role models for the next generation of players. CCL PRO23 will culminate with Division Champions and the CCL PRO23 Championships in July. Clubs will play up to six division matches. Division champions will earn playoff spots into the CCL PRO23 Championships. The Championships will be hosted by CCL clubs and will be rotated annually. Schedules, scores and standings will be posted on the league website. 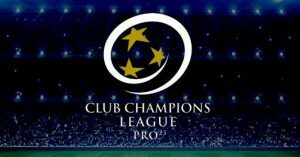 To learn more about this program, please visit http://www.clubchampionsleague.com/pro23/. Teams will train 2-3 times a week, at South Fork Soccer Park and other local soccer facilities. Teams will play a minimum of 6 matches with at least 3 home matches at the Charlottesville High School Stadium. Matches take place between June 2nd and July 22nd. All interested candidates should preregister through their personal SOCA account.